Cakes that comprise different flavors of fruits brings a lot more fun and frolic in kids’ parties. Adults love them as well because it is a healthy option to splurge. Our Duet Swirls Cake consists of a perfect combination of deliciously savoring scrumptious fruits like mango, strawberry, and litchi. The sponge comprises mouthwatering vanilla flavor which is then whipped with cream to bring velvety texture to it. Along with chocolate garnishing, there is chocolate truffle to bring extra delight to the cake. 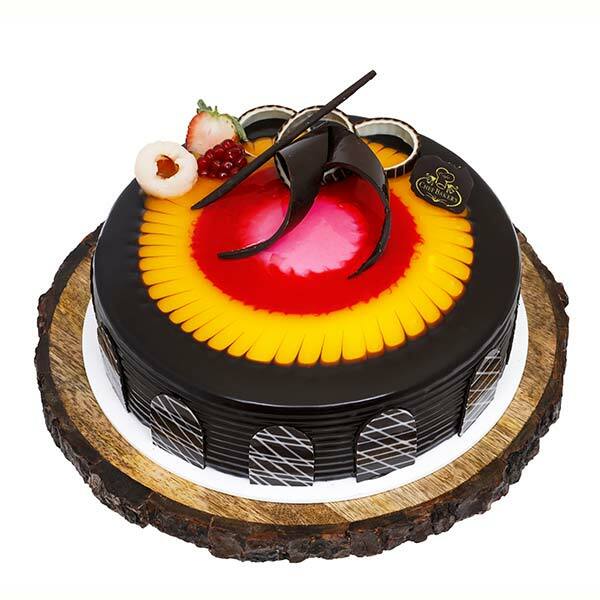 Mango Crush, Strawberry Crush and Litchi Crush bring the perfection of fruity flavors to the cake.